Wuhan, China-based Silicon Integrated Inc. unveils SIF2310 that it calls "The first back-illuminated area array ToF sensor in China." The SIF2310 supports modulation frequencies up to 100MHz and output frame rates up to 240fps. With IR light source, SIF2310 can be used in face recognition, AR/VR, motion capture, 3D modeling, machine vision, and ADAS applications. 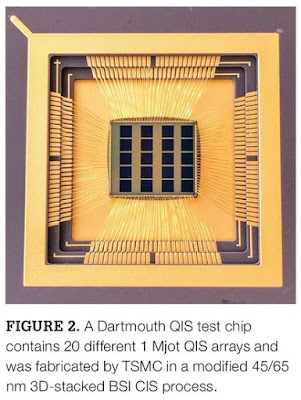 The chip is available in a die or Glass-BGA package. "With use of CMOS image sensors (CIS) extending from smartphone cameras to automotive cameras, Samsung has planned to expand its CIS production capacity to surpass Sony to become the globally largest supplier. Samsung began to modify Line 11 DRAM factory in its Hwaseong production base for production of CIS at the end of 2017, with the modification to be completed by the end of 2018. Samsung also will modify Line 13 DRAM factory in the same production base for CIS production. Samsung had monthly production capacity of 45,000 12-inch wafers for making CIS at the end of 2017, and the capacity will increase to nearly 120,000 12-inch wafers when the two additional factories begin production. Samsung's moves are in line with the optimism of carmakers and other semiconductor vendors about the future of autonmous driving." Sony 3D business is already profitable and will make an impact on earnings from the next fiscal year starting in April 2019. 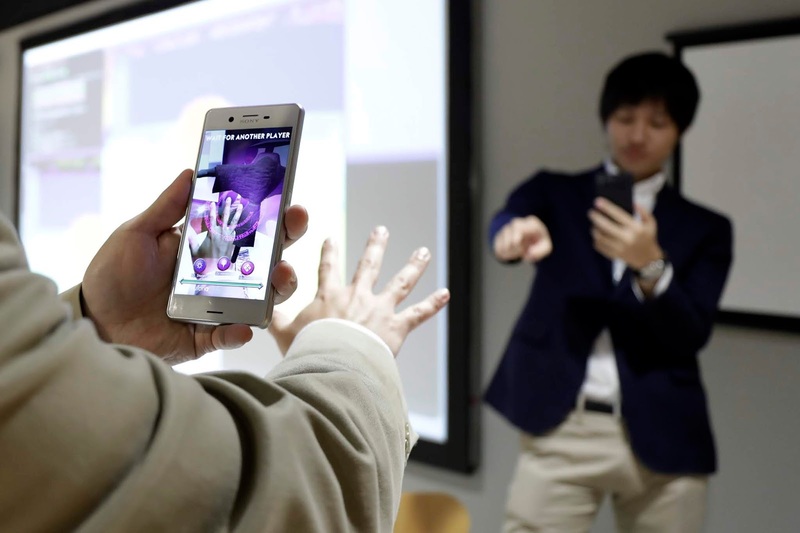 Sony started providing 3D SDK to outside developers to experiment with its ToF chips and create apps. Thanks to RP and TG for the pointer! 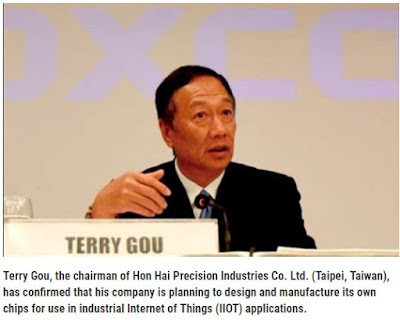 Nikkei, EETimes: Foxconn Technology (AKA Hon Hai Precision Industry) is preparing to build a $9b chip fab in the southern Chinese city of Zhuhai. The new fab will manufacture image sensors, chips for 8K TVs, and various sensors for industrial uses and connected devices, according to Nikkei. The construction is expected to start in 2021 (2020, according to Semimedia). A majority of the investment is to be subsidized by Zhuhai city government. The new fab will rank as one of the country's top high-tech projects, according to Nikkei sources. 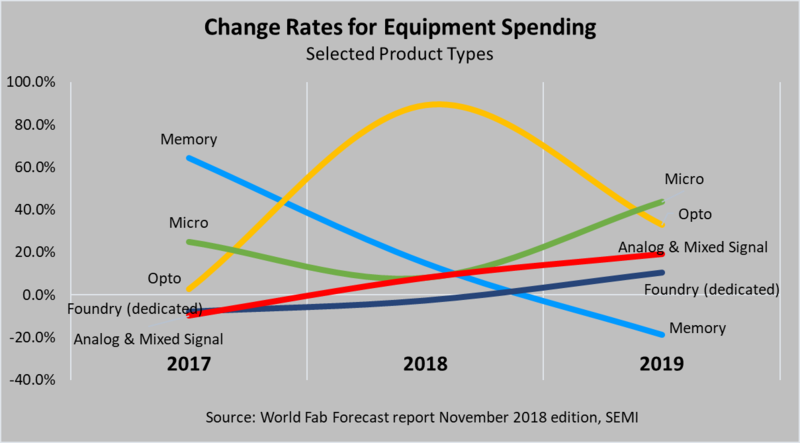 The fab will make chips not just for its own use but for other customers, competing with TSMC, Globalfoundries, Samsung foundry unit, and SMIC. According to Nikkei, Foxconn is expected to form a JV for the project with Sharp, which it acquired in 2016, and the Zhuhai government. However, Semimedia reports that Sharp denies its involvement in the project. 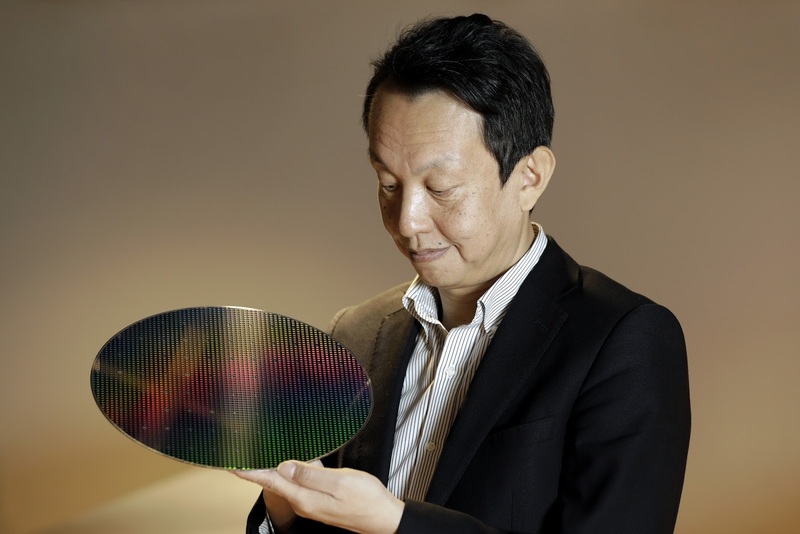 Meanwhile, Japan Times says that Sharp is going to spin-off its semiconductor business into two entities. One of them will be responsible for lasers, the second one - for sensors and other semiconductors. Sharp Chairman and President Tai Jeng-wu told reporters that he wants to tap overseas and domestic resources, showing eagerness to forge alliances with other firms including Sharp’s parent, Hon Hai Precision Industry (Foxconn). Currently, Sharp manufactures semiconductor-related products at its plants in the prefectures of Hiroshima and Nara. 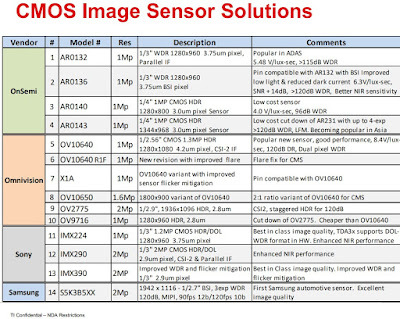 Samsung has selected image sensors as its next-generation growth engine. Samsung establishes a new business team to strengthen its sales of sensors for autonomous vehicles. 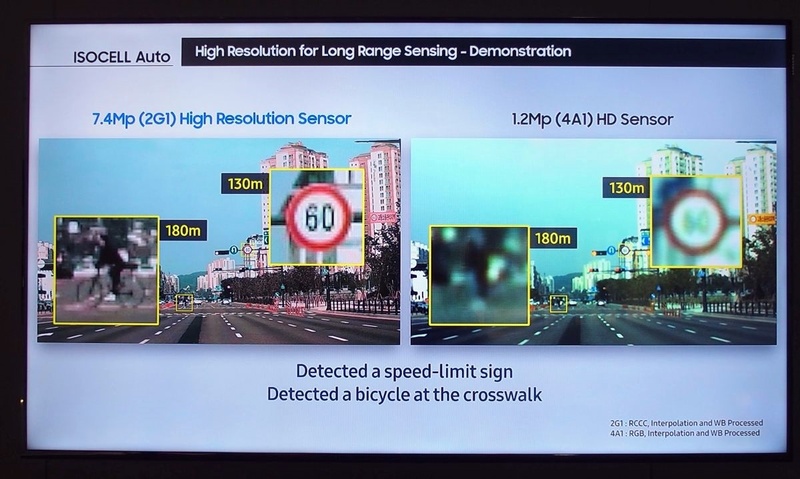 Samsung signed a contract with Tesla to supply image sensors for vehicles. Although the immediate sales impact is not significant, it will make it easier for Samsung to expand with other companies in automotive space. 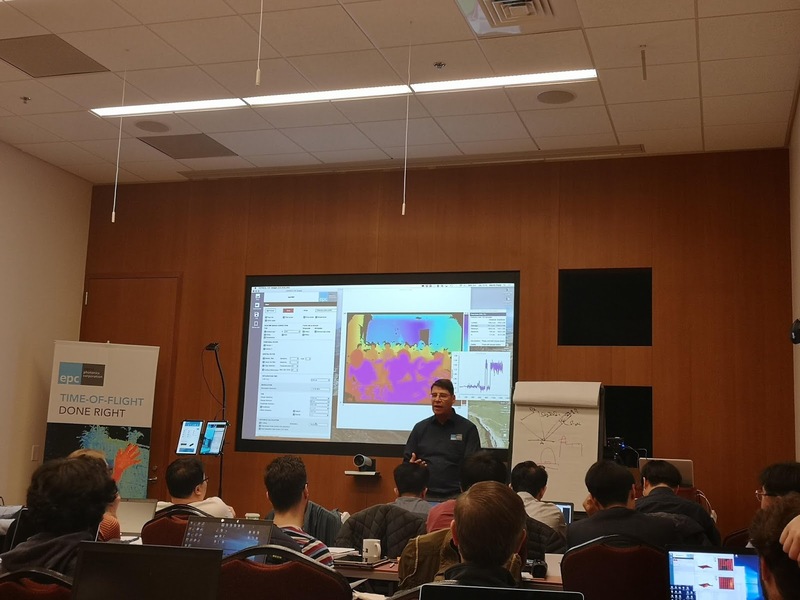 Samsung CIS activity has been re-organized so that the process development is now done by the foundry section of the Device Solution Division (DS), while the sensor business team focuses on product planning and sales. Samsung is converting some of its 11-line DRAM production in Hwaseong plant into image sensor lines. SK Hynix aims to achieve 1 trillion won (US$900 million) in image sensor sales. SK Hynix focuses on mid-end products and increase its market share in China. SK Hynix leverages its DRAM strength in image sensor marketing by offering a deal on CIS purchase to a company that buys large amount of DRAM products. Taiwan-based Artilux presented its Ge-on-Si paper "High-Performance Germanium-on-Silicon Lock-in Pixels for Indirect Time-of-Flight Applications" by N. Na, S.-L. Cheng, H.-D. Liu, M.-J. Yang, C.-Y. Chen, H.-W. Chen, Y.-T. Chou, C.-T. Lin, W.-H. Liu, C.-F. Liang, C.-L. Chen, S.-W. Chu, B.-J. Chen, Y.-F. Lyu, and S.-L. Chen. The paper appears to be a process and device development report with statistics on process variations and various optimizations of the device parameters. 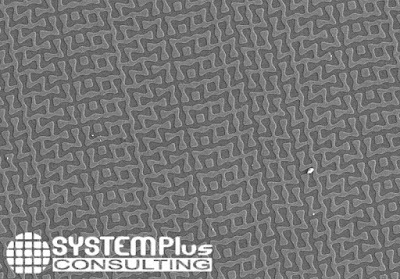 The conclusion is: "Novel GOS lock-in pixel is investigated at 940nm and 1550nm wavelengths and shown to be a strong contender against conventional Si lock-in pixel. 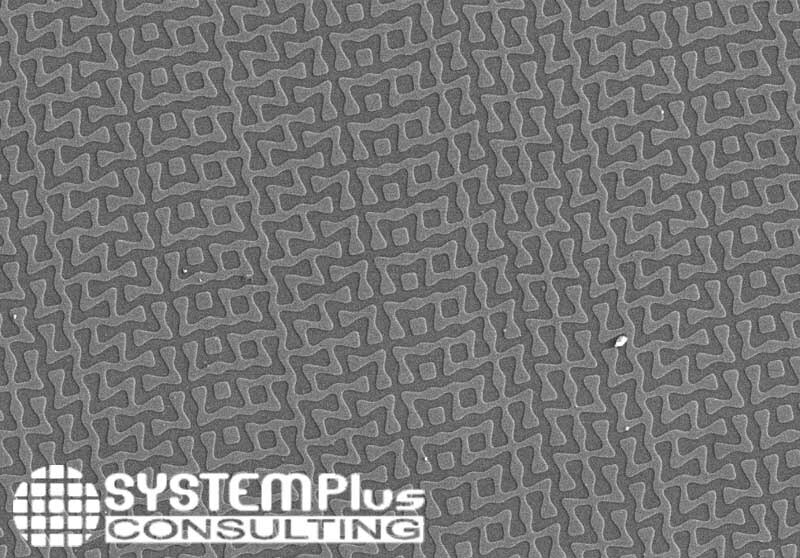 The measured statistical data further demonstrate the technology yields good within wafer and wafer-to-wafer uniformities that may be ready for mass production in the near future." 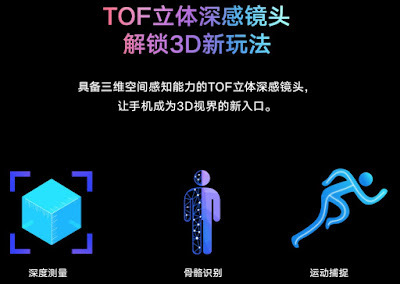 Digitimes: Etron and its subsidiary eYs3D Microelectronics are set to launch AI-on-edge 3D sensing solutions based on Etron stereo processors. Their "3D natural light deep vision platform technology that can allow one smartphone to unlock 5-6 smartphones via recognizing faces of smartphone users under their consent, and can also connect smart devices to monitor air conditioners, TVs and other smart household electrical appliances." Journal of Physics publishes an open-access paper "Tracking and Disabling Smartphone Camera for Privacy" by Qurban Memon, Khawla Al Shanqiti, AlYazia Al Falasi, Amna Al Jaberi, and Yasmeen Amer from UAE University. "With people's easy access to various forms of recent technologies, privacy has decreased immensely. One of the major privacy breaches nowadays is taking pictures and videos using smart phones without seeking permission of those whom it concerns. This work aims to target privacy in the current mobile environment. The main contribution of this work is to block the smart phone camera without damaging the smart phone or harming people around it. The approach is divided into stages: body area detection and then camera detection in the frame. The detection stage follows pointing of laser(s) controlled by a microcontroller. Tests are conducted on built system and results show performance error less than 1%. For Safety, the beams are devised to be harmless to the people, environment and the targeted smart phones." 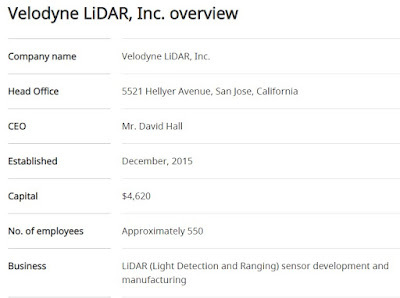 Velodyne Lidar announces Nikon as a new strategic investor with an investment of $25M. The parties further announced they have begun discussions for a multifaceted business alliance. 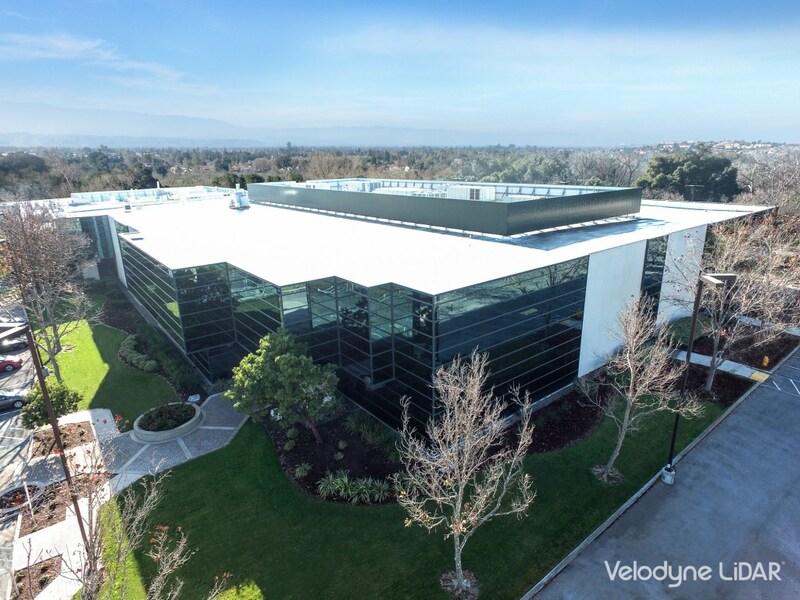 Aiming to combine Nikon’s optical and precision technologies with Velodyne’s sensor technology, both companies have begun investigating a wide-ranging business relationship, including collaboration in technology development and manufacturing. The companies share a futuristic vision of advanced perception technology for a wide range of applications including robotics, mapping, security, shuttles, drones, and safety on roadways. Tahnks to TG for the link! VentureBeat: LightOn, a Paris, France-based AI startup, has closed a $3.3M (€2.9M) seed funding round. LightOn is developing a new optics-based data processing technology for AI. Leveraging compressive sensing, LightOn’s hardware and software can make Artificial Intelligence computations both simpler and orders of magnitude more efficient. The technology, licensed by PSL Research University, was originally developed at several of Paris’ leading research institutions. For the past few months, LightOn has allowed access to their Optical Processing Units (OPU) to a select group of beta customers through the LightOn Cloud, thanks to a partnership with OVH, Europe’s leading cloud provider. First users from both Academia and Industry have already successfully demonstrated impressive results on this hybrid CPU/GPU/OPU server, outperforming silicon-only computing technology in a variety of large scale Machine Learning tasks. Typical use cases currently include transfer learning, change point detection, or time series prediction. "Random projections have proven extremely useful in many signal processing and machine learning applications. 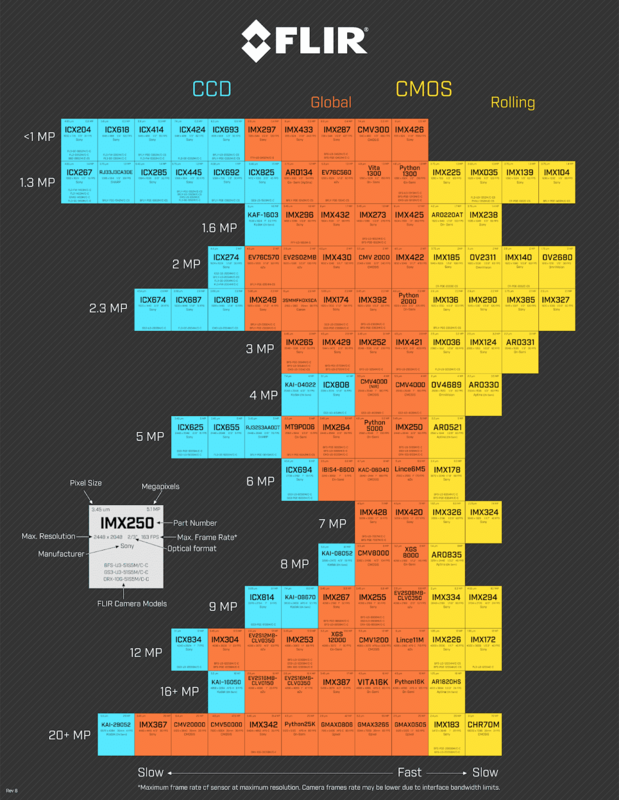 However, they often require either to store a very large random matrix, or to use a different, structured matrix to reduce the computational and memory costs. Here, we overcome this difficulty by proposing an analog, optical device, that performs the random projections literally at the speed of light without having to store any matrix in memory. This is achieved using the physical properties of multiple coherent scattering of coherent light in random media. We use this device on a simple task of classification with a kernel machine, and we show that, on the MNIST database, the experimental results closely match the theoretical performance of the corresponding kernel. This framework can help make kernel methods practical for applications that have large training sets and/or require real-time prediction. We discuss possible extensions of the method in terms of a class of kernels, speed, memory consumption and different problems." 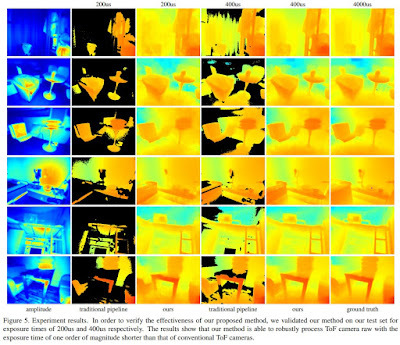 SenseTime Research and Tsinghua University publish arxiv.org paper "Very Power Efficient Neural Time-of-Flight" by Yan Chen, Jimmy S. Ren, Xuanye Cheng, Keyuan Qian, and Jinwei Gu. 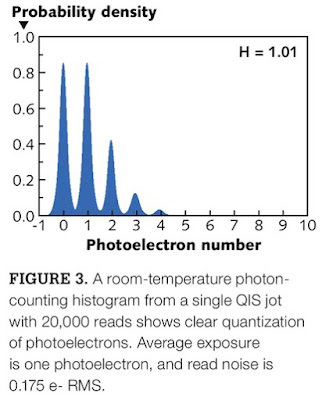 "Time-of-Flight (ToF) cameras require active illumination to obtain depth information thus the power of illumination directly affects the performance of ToF cameras. Traditional ToF imaging algorithms is very sensitive to illumination and the depth accuracy degenerates rapidly with the power of it. Therefore, the design of a power efficient ToF camera always creates a painful dilemma for the illumination and the performance trade-off. 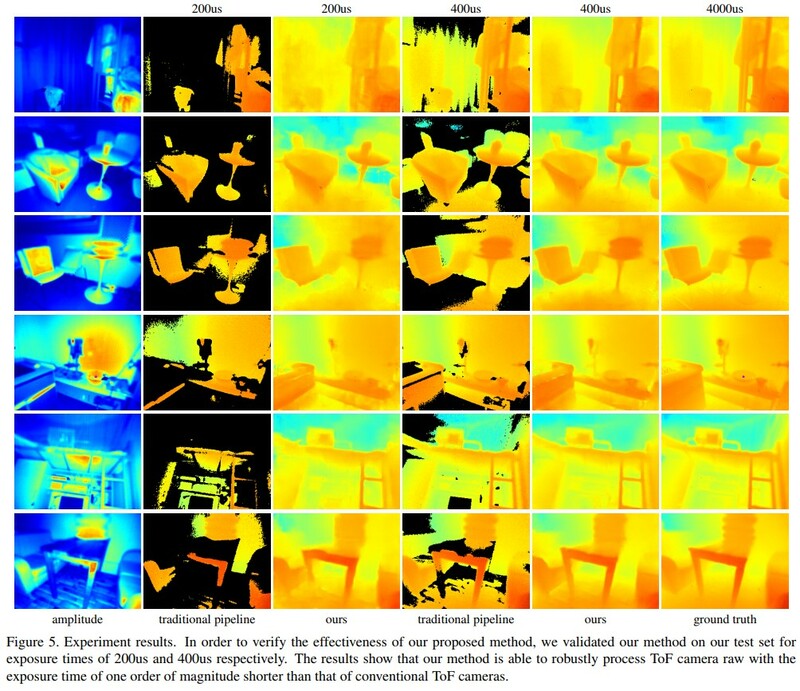 In this paper, we show that despite the weak signals in many areas under extreme short exposure setting, these signals as a whole can be well utilized through a learning process which directly translates the weak and noisy ToF camera raw to depth map. This creates an opportunity to tackle the aforementioned dilemma and make a very power efficient ToF camera possible. To enable the learning, we collect a comprehensive dataset under a variety of scenes and photographic conditions by a specialized ToF camera. Experiments show that our method is able to robustly process ToF camera raw with the exposure time of one order of magnitude shorter than that used in conventional ToF cameras. In addition to evaluating our approach both quantitatively and qualitatively, we also discuss its implication to designing the next generation power efficient ToF cameras. We will make our dataset and code publicly available." 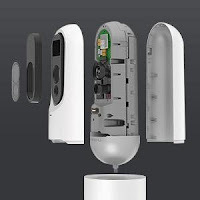 "Xiaomi has chosen Mantis Vision’s solution and its coded structured light to provide the 3D sensing capability. 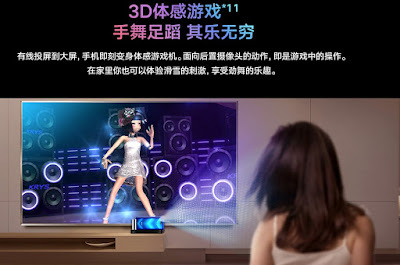 The 3D systems comprise a dot projector and a camera module assembly configuration. On the receiver side, the near infrared (NIR) image is captured by a global shutter (GS) NIR camera module. All components are standard products that can be readily found in the market. 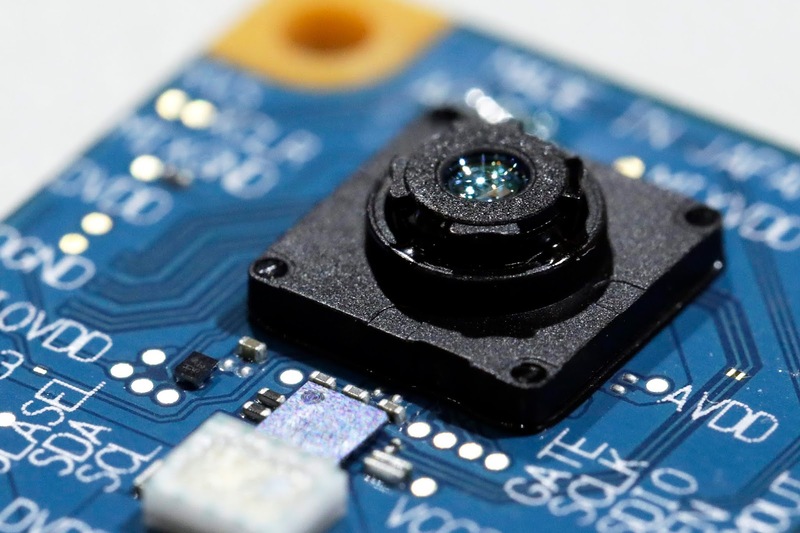 That includes a GS image sensor featuring 3µm x 3µm pixels and standard resolution of one megapixel and two vertical cavity surface emitting lasers (VCSELs), one for the dot projector and one for the flood illuminator. Both are from the same supplier. Both the camera and dot projector use standard camera module assemblies with wire bonding and optical modules featuring lenses. In order to provide coded structured light features, a mask is integrated into the dot projector structure." eye-safety becomes an issue as well. 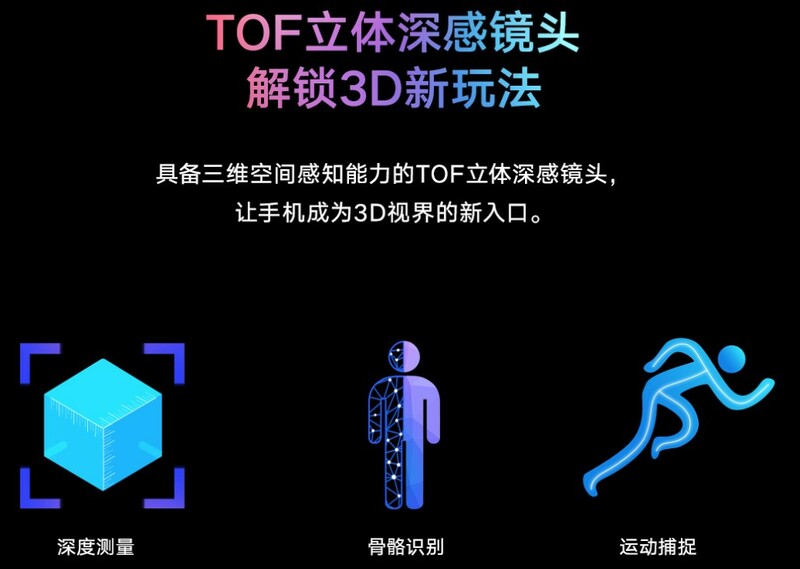 A TOF camera consist of 9 functional building blocks which have to be understood and fine-tuned carefully to create a powerful but cost effective design. 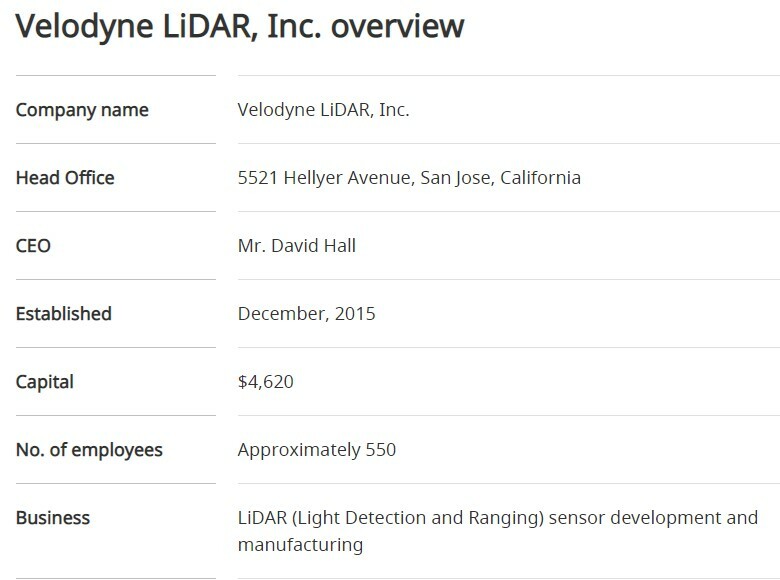 There is, at least to our knowledge, no engineering school which addresses TOF and LiDAR as an own discipline. We at ESPROS decided to fill the gap with a training program called TOF Developer Conference. The objective is to provide a solid theoretical background, a guideline to working implementations based on examples and practical work with TOF systems. Thus, the TOF Developer Conference shall become the enabler for electronics engineers (BS and MS in EE engineering) to design working TOF systems. It is ideally for engineers who are or will be, involved in the design of TOF system. We hope that our initiative helps to close the gap between the desire of TOF sensors to massively deployed TOF applications. TOF history; TOF principles; main parts of a TOF camera; relevant optical physics; light detection; receiver physics; noise considerations; SNR; light emission and light sources; eye safety; light power budget calculation; optics basics; optical systems and key requirements; bringing it all together; electronics, PCB layout guidelines; power considerations; calibration and compensation; filtering computing power requirements; interference detection and suppression; artifacts and how to deal with them; practical lab experiments; Q&A; much more…"
The next two ToF conferences are planned to be held in China: Shanghai on April 2, 2019 and Shenzhen on April 9, 2019. Sony announces the 1/1.55-inch, 5.4MP (effective) IMX490 CMOS sensor for automotive cameras. Sony will begin shipping samples in March 2019. 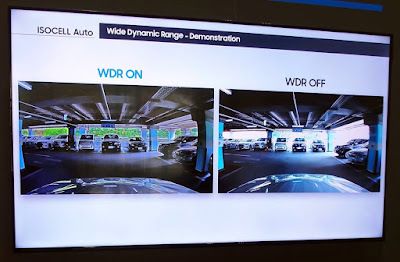 The new sensor simultaneously achieves HDR and LED flicker mitigation at what Sony calls the industry’s highest 5.4MP resolution in automotive cameras. Sony has also improved the saturation illuminance through a proprietary pixel structure and exposure method. When using the HDR imaging and LED flicker mitigation functions at the same time, this offers a wide 120dB DR (measured in accordance to the EMVA 1288 standard. 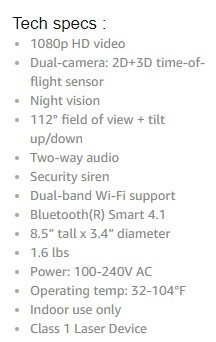 140dB when set to prioritize DR.) This DR is said to be three times higher than that of the previous product. This means highlight oversaturation can be mitigated, even in situations where 100,000 lux sunlight is directly reflecting off a light-colored car in the front, and the like, thereby capturing the subject more accurately even under road conditions where there is a dramatic lighting contrast such as when entering and exiting a tunnel. Moreover, this unique method is said to prevent motion artifacts that occur when capturing moving subjects compared with other HDR technologies. The new sensor also improves the sensitivity by about 15% compared to that of the previous generation product, improving the capability to recognize pedestrians and obstacles in low illuminance conditions of 0.1 lux, the equivalent of moonlight. This product is scheduled to meet the AEC-Q100 Grade 2 reliability standards for automobile electronic components for mass production. 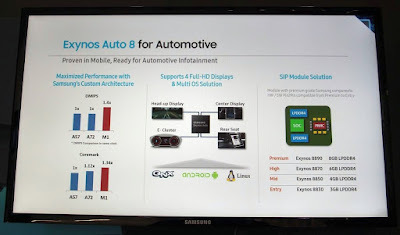 Sony has also introduced a development process compliant with ISO 26262 functional safety standards for automobiles to ensure that design quality meets the functional safety requirements for automotive applications, thereby supporting functional safety level ASIL D for fault detection, notification and control. *6 Moreover, the new sensor has security functions to protect the output image from tampering. "The CIS business continues to see a shift toward higher resolutions and multi-camera phones. Multi-camera phones accounted for 65% of iPhone and 44% of Android phone production in Jul–Sep 2018 in an indication that the trend is accelerating. We now assume a multi-camera weighting of 40% (previously 35%) for 2018 and 50% (45%) for 2019, including an increase from 7% to 10% for triple-camera phones in 2019. This represents a tailwind for profits at Sony (6758), as do improvement in the sales mix accompanying the shift toward higher resolutions and larger sensors. While the smartphone market is looking sluggish overall, we expect continued profit growth for Sony's CIS business in 2H FY3/19 and out as the number of sensors per smartphone increases, the sales mix improves (higher resolutions, larger sizes), and the company gains market share in supplying Chinese smartphone makers. We think the business could continue to drive companywide profits in FY3/20 and remain generally expectant of its potential. TOF sensors: In our report on the previous survey, we said that some module makers think the 2019 models are likely to incorporate rear time-of-flight (TOF) sensors, but some device makers regard this as unlikely. 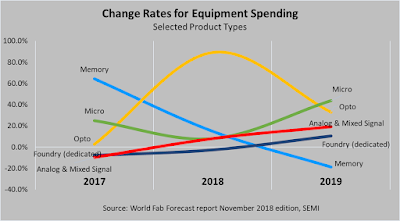 However, based on the current survey, we now think TOF sensors will probably be first adopted in the 2020 models rather than the 2019 models. 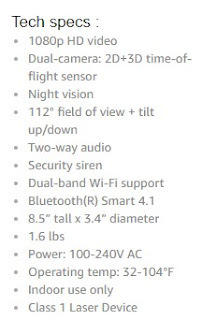 We said in our previous survey report that Samsung was targeting a multi-camera weighting of 50% (triple camera 20%, dual camera 30%) in 2019, but our latest survey indicates a growing possibility of a 70% target triple/quadruple camera 20%, dual camera 50%). Samsung appears to be currently planning for around 10 triple- or quadruple-camera models as well as phones with 5x zoom folded optics cameras and pop-up cameras. 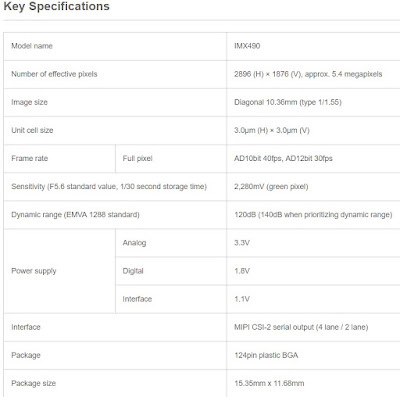 The company is considering megapixel combinations of 48MP-16MP-13MP and 48MP-10MP-5MP for triple camera models while also looking at 48MP-8MP-5MP, 32MP-8MP-5MP, and 16MP-8MP-5MP. 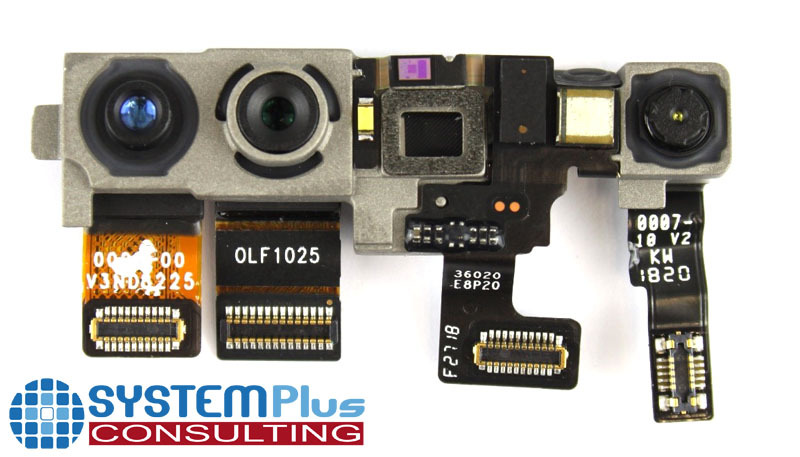 In CY19, we think the smartphone manufacturers will adopt triple-camera and triple/quadruple-camera systems on a full scale, mainly in their high-end phones, and we expect them to also build large 48MP sensors into their phones. We believe companies like Huawei, Oppo, and Xiaomi will consider adopting 5x-zoom folding optics systems. Regarding OISs, we project that the smartphone manufacturers will use CIS technology in their main cameras and shift to shape memory alloy (SMA) OISs and away from VCM type OISs in response to the increase in lens size. 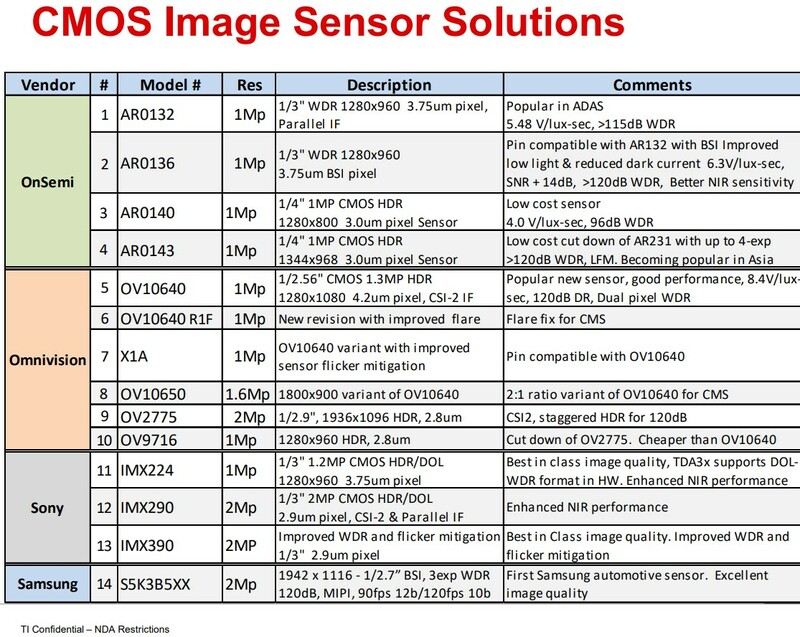 Sony will likely be the sole supplier of 48MP sensors for the spring models. 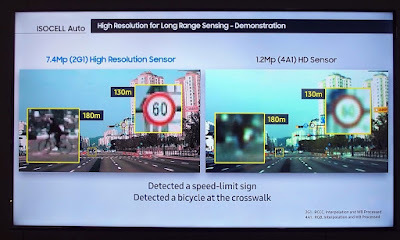 Samsung LSI 12MP/48MP-sensor re-mosaic technology is lagging, and we project that it will be mid-CY19 at the earliest before it is adopted in high-end phones. 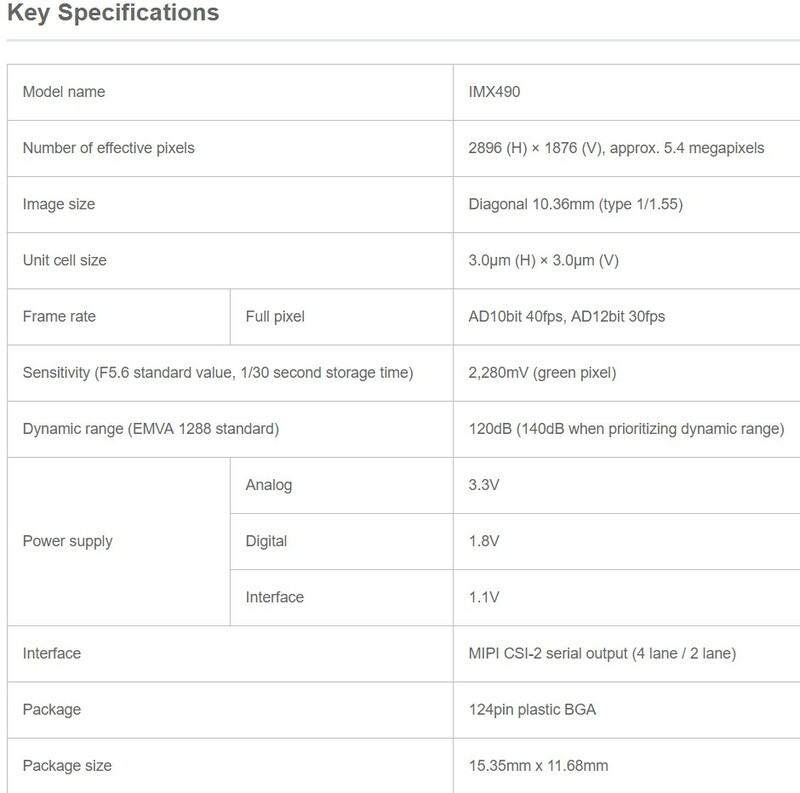 Consequently, we think Samsung LSI CISs that are 48MP in the catalog specs but 12MP in actual image quality will probably be used in midrange spring models. We think that in China, demand for 24MP CISs, mainly for phones with two front-side cameras, has reached around 100mn units per year. We think that in CY19, demand for 48MP CISs for rear-side cameras could increase to roughly 150mn units. CIS supplies remain tight, particularly for 2/5/8MP CISs manufactured using an 8-inch process. Tight supplies of CISs for high-end models in CY19, owing to the transition to large 48MP sensors, are a concern."